The Latin Percussion Pro Maracas are offered in matched pairs. One high pitch and one low pitch. 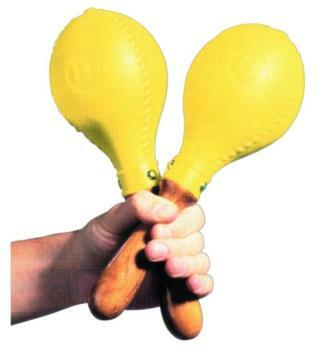 This variation in pitch is the way maracas were historically designed to sound. The Rhythm Tech Shaker employs and innovative structural design featuring unique internal ridges that control the feel of the instrument. Improves response, and provides excellent definition.